With several decades of experience, there’s no other company that’s quite as seasoned as Evinrude Outboard Motors. Whenever there’s a chance to improve upon an existing product with further innovation and better technology, Evinrude Outboard Motors rises to the occasion. There’s no denying that Evinrude is one of the leading trailblazers in the industry. Evinrude utilizes a fuel-delivery technology called direct injection that allows gasoline engines to burn more efficiently, which results in more power, cleaner emissions, and better fuel economy. There are a number of options available including the E-Tec, E-Tec G2, E-Tec Jet Series, E-Tec Pontoon, Multi-Fuel, and portable. Regardless of your boat type, there’s bound to be an Evinrude outboard motor that’s just right for you. Visit Angler’s Marine in Taylor, MI near Detroit today! 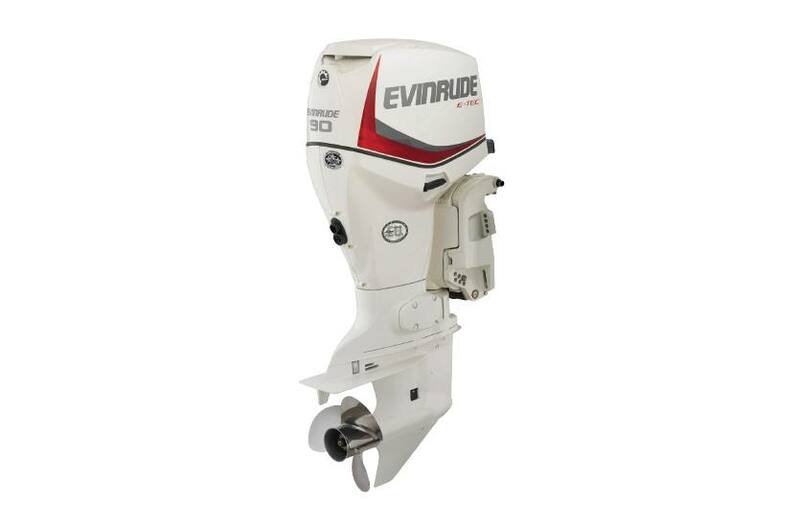 The Evinrude E-Tec High Output series is the definition of a performance engine. Each engine is tuned for even more power and speed than usual. If you want to push boundaries on the water with horsepower speed, and torque, then this might an excellent engine option for you. Every single Evinrude E-Tec G2 engine is designed to make boating simple. The Intelligent Piloting System is comprised of integrated engine features like direct injection and advanced computer software for analyzing combustion process. Novice or expert, you’ll love it. If you’re seeking the lightest jet outboard in its class, go with the E-Tec Jet Series. You’ll enjoy easy maneuverability and quiet operation, too. The simple but clever technology of the two-position lift gates offers forward and reverse capabilities while maintaining durability. E-Tec Pontoon Outboards are the only outboards built specifically for pontoons. You get all the benefits that come with an E-Tec but tuned for use in a pontoon. What’s the difference? These engines deliver a greater thrust, reduce vibrations, and make your pontoon easy to own and operate. The E-Tec Pontoon series outboards will complete your experience! The same E-Tec technology the government depends on is available for use by civilians. These engines feature E-Tec injectors, fuel system, and an onboard computer. The multi-fuel perks include special cylinder sleeve oiling, a unique engine mapping systems, and modified deflector pins. You’ll experience minimal noise and low exhaust emissions, too. Evinrude portable engines combine performance and portability to make your boating experience easier. The fast-idle choke system allows for both quick and easy starting. Optional features include front mount shift levers and shallow water drive and tilt. These engines have everything you need for an enjoyable time on the water.